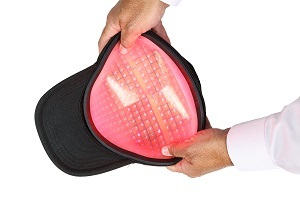 Capillus, LLC introduces 6-minute daily sessions for its laser therapy caps with continuous wave light output. All FDA-cleared models (Capillus82™, Capillus202™, Capillus272Pro™ and CapillusRX™) are now equipped with the same clinically proven technology physicians have used for years to treat thinning hair at home or on the go, but with faster treatment sessions and an updated flexible comfort fit. The more convenient the device, the better the compliance to the treatment. Capillus strongly believes compliance means better results. As per Dr. Shelly Friedman, Scottsdale, Arizona hair restoration surgeon, “Compliance means efficacy.” Capillus strives to make its devices convenient for the treatment of hair loss. The introduction of the flexible fit design and the shorter treatment sessions does just that. Continuous wave technology means that the lasers no longer pulse during treatment as they previously did with the 30-minute treatments; instead, they remain on during the 6-minute treatment session. This also provides other benefits such as more controlled, precise, and consistent delivery of laser energy to the scalp and an extended device lifetime to the diodes of 30%. The change does not affect FDA clearance since it does not change the indications for use. The first of their kind, these 6-minute daily treatment models transform low-level laser therapy (LLLT) into a more easy, discreet, and powerful solution for both men and women suffering with hereditary hair loss. Not only does treatment last just a few minutes but with the new hypoallergenic polymer interior, each cap adapts to varying head shapes and sizes and hugs the scalp for a more comfortable user experience. Available today, readers are invited to visit https://www.capillus.com to learn more about the 6-minute per day laser therapy medical devices and hair regrowth products. The Miami, Florida-based company, Capillus, LLC offers prescription and over-the-counter hair regrowth products and medical devices for both men and women suffering from hair loss. The Capillus premiere product lines include low-level laser therapy (LLLT) devices that are FDA-cleared and manufactured in the US under the highest-quality certification standard for the medical device industry (ISO13485).